Microsoft OneDrive for Business is now available on selected Vodafone business mobile plans in New Zealand, but key questions still remain around the storage offering. Following Redmond’s u-turn on offering unlimited OneDrive storage across its Office 365 Home, Personal and University plans last month, organisations are now waiting to see if the tech giant can still keep its promise in business. At the time of the reversal, Microsoft claimed the move was only applicable to consumer plans but confusion still remains as to the company’s plans for OneDrive for Business, 12 months on from its first promise to offer unlimited storage across enterprise. 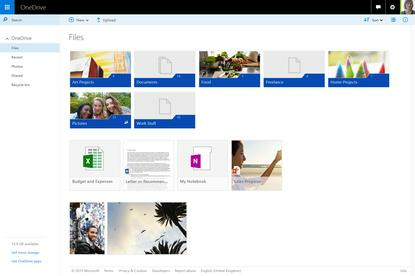 “Today, storage limits just became a thing of the past with Office 365,” wrote Julia White, general manager of Office 365 Technical Product Management, Microsoft on October 27, 2014. With no confirmation on plans as yet, back in New Zealand, Vodafone becomes the first telecommunications retailer in the country to include cloud storage solution to business customers on selected business mobile plans. The telco says OneDrive for Business comes with 1TB of online file storage and will be free for 24 months on selected Vodafone business mobile plans: Red+ Business Essentials, Red+ Business, Red+ Business Super and Business Black. “Our business customers have told us that mobility and better connectivity helps them to work faster and smarter,” says Ken Tunnicliffe, Enterprise Director, Vodafone. Tunnicliffe says more than 20 percent of New Zealand businesses currently use cloud storage for business documents and files. “Modern businesses are constantly on the go and mobile phones and tablets are a lifeline - so we understand how frustrating it can be if a key document, file or data set is not instantly accessible when you or your team needs to make a decision or take action on the spot,” Tunnicliffe adds. Tunnicliffe says Kiwi customers must opt-in to receive a OneDrive for Business license, which is available to all new and existing customers on eligible plans.